Mention the Next Generational Air Transportation System to pilots and the first thing that comes to mind is money and the pain resulting from complex changes. If you’re a GA flyer, add unkind words for the airlines, the primary beneficiary of the satellite-based NextGen system. Or are they? 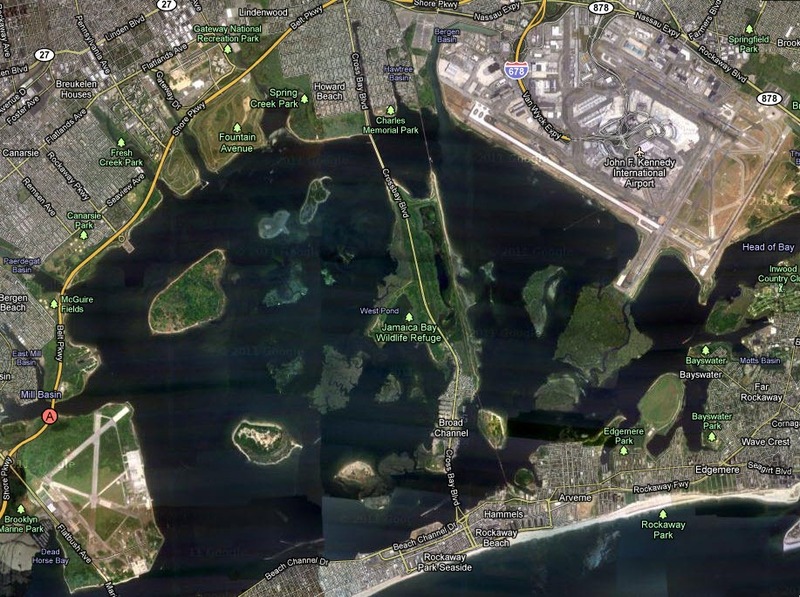 Numerous articles have recently floated the idea that NextGen systems could reopen the runways at historic Floyd Bennett Field (that’s FBF on the left), across Jamaica Bay and 5 miles from JFK. This opportunity, and what it means to general aviators nationwide was a cold slap that screamed SNAP OUT OF IT, breaking the endless circle of cynicism and despair stemming from the inconvenience of change that NextGen represents. Nationwide, there are hundreds of airports like FBF, buried under Class B airspace that, one way or another, inconveniences, limits, restricts, or shuts down their operations. There are 119 such airports under the inverted airspace wedding cake pounded into DFW. It just so happens that the FAA’s NextGen team is, this year, working to streamline approaches and departures in the DFW metroplex. The FAA’s goal is to “deconflict” 21 such areas by 2016. Next up are Atlanta, Houston, Southern and Northern California, and Charlotte. And they are going to do it by putting airliners on narrow, satellite-defined tracks. 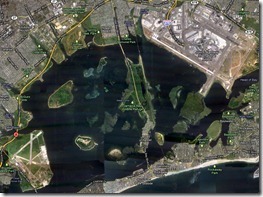 They are already in place at JFK, and in time more airliners and their crews will be capable of using them. That gives GA flyers some more breathing room, and surely is a benefit due to NextGen. What makes this possible is the required navigation performance (RNP) aspect of NextGen’s performance-based navigation requirements, aided and abetted by ADS-B Out, which is replacing radar surveillance. RNP’s resolution ranges from 10 to .1 (or less), which is the system’s 3D positional radius of accuracy in nautical miles. Terminal approaches employ RNP.3 or less, with RNP .1 enabling precise curving 3D approaches around mountains, noise sensitive areas, or other airports. The difference between the last century’s radar/VOR system and NextGen is clear. The AR suffix stands for authorization required, which means the aircraft and the people flying it must demonstration their ability to fly the approach, which is nothing new to airline pilots. Combine this with continuous descent arrivals (aka optimized descent profile, which limits altitude step downs) and system wide information management, an automated data communication network that coordinates flight in the airspace, and Class B no longer needs to be an oppressive behemoth. This entry was posted on Thursday, April 7th, 2011 at 9:15 pm	and is filed under Air Traffic Control, Airlines, Airports, Blogging, FAA, General, The Buzz. You can follow any responses to this entry through the RSS 2.0 feed. Both comments and pings are currently closed. This could really make GA more user friendly and spawn some growth once again. To-date, the FAA is mandating that installation of ADS-B equipment via STC, adding to the cost of installation. Some ball park this figure to be in the $35,000 range. Your mileage may vary as time closes in on 2020 where equipage cost may come down some. 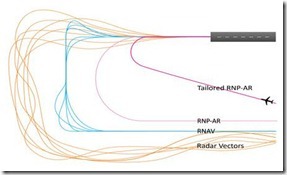 Given that the GNS 430 is out of production repair support due to parts availability, you will either have to be satisfied with an ADS-B built-in WAAS GPS with no moving map, or pony up for the new GTN 650 for $12,000 + installation (give or take a few hundred).